“Information systems”, master of engineering and technology. 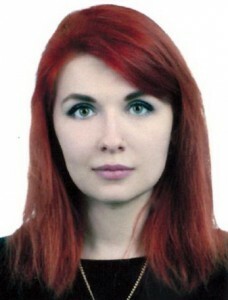 She has been studying since 2017 in the doctoral program of North Kazakhstan State University after M Kozybayev, by specialty “radio engineering, electronics and telecommunications”. 1) ” Fundamentals of digital audio and video. Part 1″ — V. P. Razinkin, G. G. Tedeev, A. D. Mekhtiev, M. A. Gavrilova, University 2014. 2) Fundamentals of digital audio and video. Part 2″ — V. P. Razinkin, A. D. Mekhtiev, J. V. Kim, V. V. Yugay, M. A. Gavrilova, University 2014. 3) «Цифрлы аудио және бейнетехника негіздері. 1 бөлім» — – В.П. Разинкин, Г.Г. Таткеева, А.Д. Мехтиев, М.А. Гаврилова, КарГТУ 2015. 4) «Цифрлы аудио және бейнетехника негіздері. 2 бөлім» — В.П. Разинкин, А.Д. Мехтиев, Ю.В. Ким, В.В. Югай, М.А. Гаврилова, КарГТУ 2015. 5) “Ingenerally Gielen sends teorisini and diagnostically negs regeler” — J. A. Secretary, V. M. Levin, G. G. Tedeev, A. D. Mekhtiev . M. A. Gavrilov, University 2015. 6) ” Antenna-feeder devices — -V. V. Yugay, O. V. aldoshina, M. A. Gavrilova, N. B. Kaliaskarov, Karstu 2018. 7) “the basics of electronic technology and izmeritelnoi” — Vladimir Yugay, M. A. Gavrilov, N. B. Kaliaskarov. 8)” Computer modeling in telecommunication systems ” — G. A. Belik, M. A. Gavrilova., Karstu 2018.